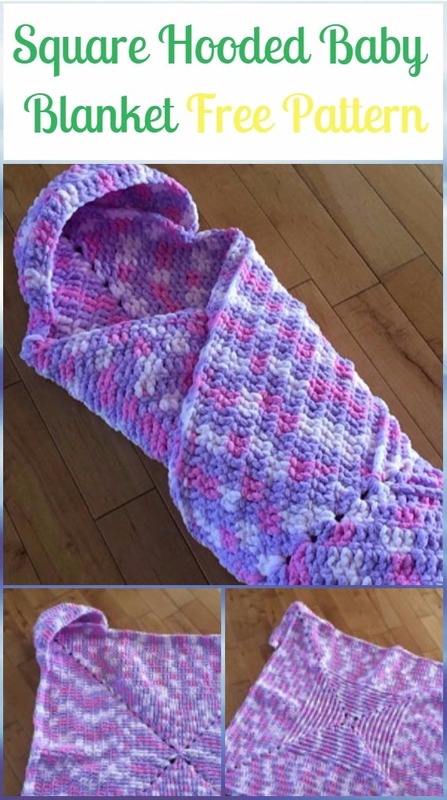 A Collection of Crochet Hooded Blanket Patterns Free and Paid. The Hooded Blankets can be so much fun! Today our Crochet Channel is going to share this cutest list of crochet hooded blankets, you’ll find from basic square ones to fancy cats, dinosaurs, foxes, unicorns and more. We know that they will become yours too. There is nothing better than swaddling a baby in a crocheted hooded blanket. The hood makes the swaddle so much easier. Even the big kids and grown ups will enjoy snuggling themselves into these fun and colorful blankets too. The imaginative animal details can also add a whimsical sense of humor for you and your kids to cuddle up.